There’s a Reason the Road is Less Traveled. People Like Me Can’t Find It. You know that famous “road less traveled” that M. Scott Peck wrote about? 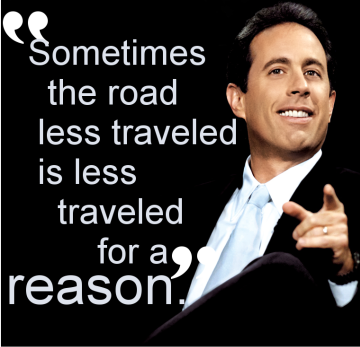 There’s a reason it’s less traveled. People like me can’t find it. Kind friends refer to me as “directionally challenged.” Others call me names school children are forbidden to use. I’m more of an in-the-moment type of person rather than an observer-of-signs. Being in the moment is tough enough without navigating simultaneously. Maps, shmaps. My internal compass has convinced my brain that these statements make perfect sense: 1) NORTH is always the direction I’m facing; 2) SOUTH is always behind me; 3) EAST is to my right; and 4) WEST, to my left. Hey, it works a quarter of the time, so I can’t complain. I had my first big, lost adventure as a high school senior. I took a trip from Cape Cod to Providence, RI to visit my boyfriend with his young cousin. I assured her parents we’d be back before dark. As promised, with plenty of time, we got on the road. Which road was the question. Searching for signs to the highway led me to dead ends and questionable neighborhoods. Each time I stopped for directions, I only remembered the last instruction the gas station attendant had given me me—which is never a good place to start. My young passenger became anxious. As darkness fell, her anxiety turned to fear. So did mine. Being the older, more responsible one, it fell to me to reassure her. At the next turn, I sang out, “We’re fine! Yup. This looks familiar.” When the street lights grew further apart, I slowed to a crawl and clicked on my brights. Good thing. We were in a beach parking lot about twenty feet from the ocean. In New Bedford. While driving her home one afternoon, I broached the subject positively and coveted her blessing. She pondered the matter for about as long as it took me to miss her exit and circle the rotary three times. I can still see her folded arms and smug stare. I know I’m not alone in this condition. Once, my friend, Brenda, and I decided to attend a women’s conference in Sturbridge, MA, about two hours away from our home on Cape Cod. We thought if we drove together, one of us could act as the navigator. We soon learned “acting” as a navigator didn’t necessarily equate to being one. After we backtracked a few exits out of Connecticut, we arrived in Sturbridge and found the sprawling hotel. For three days we trekked up and down endless hallways, the conference rooms eluding us. I was relieved when we reached our destination almost on time for one of the events. Not wanting to disturb the speaker, I opened the door quietly, stepped in, then stopped short. Brenda, hot on my heels, rear-ended me, thrusting us unceremoniously into the small room. We might have been publically humiliated—if it hadn’t been the janitor’s closet. When travelling by car with my husband, he does most of the driving. Okay, all of the driving. But I did offer once on our way to Virginia. Uh? Oh. I thought this was an artist’s depiction of a road to Heaven. 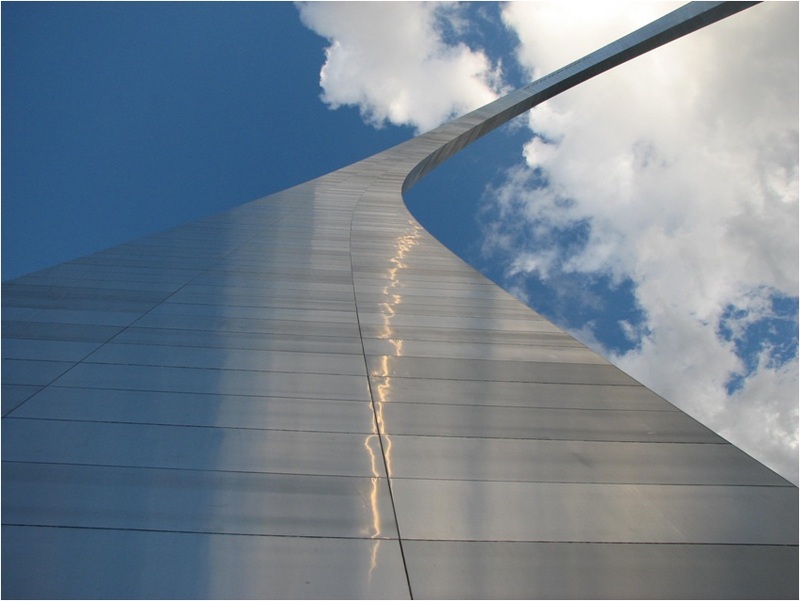 My husband just told me it’s a picture of the Gateway Arch in St. Louis. I can even get lost in Google. While on Earth, I’ll have to deal with roundabouts, stop signs, deadends, and plenty of wrong turns. Thankfully, to get to Heaven, all I have to do is hang onto Jesus. He’ll take me the rest of the way. Categories: Biblical Principles, Faith, Humor, Life Lessons | Tags: afraid, direction, found, Jesus, lost, road, way | Permalink. 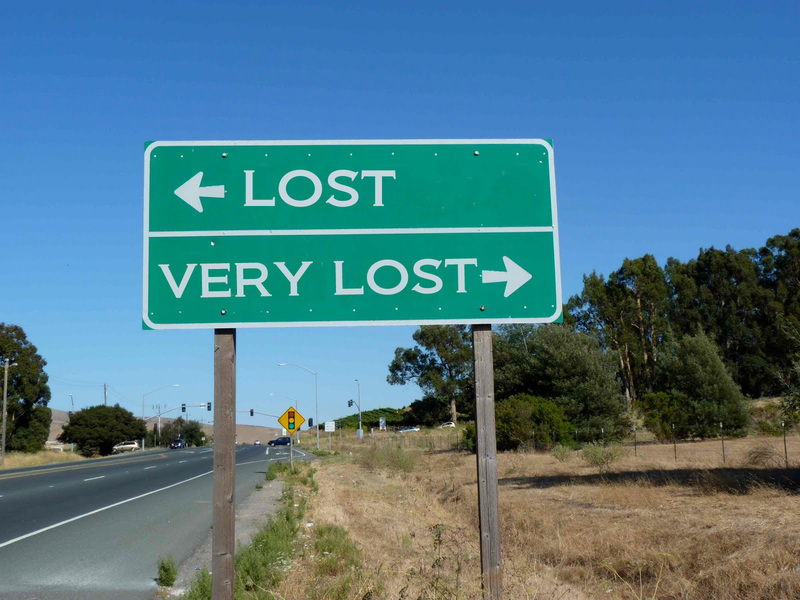 We should never go anywhere together because I am also directionaly challenged. Then again, it might be fun. When we go to MI, my husband only allows me to spell him on the Ohio Turnpike as it’s impossible to get lost. We knew we had a lot in common already, but this is too much. It would be fun to get lost with you. Yes, that was your mother and me let loose on your part of the state. Scary. Kindred spirit here!!! You couldn’t have said it better. Were you writing about me??? Can you imagine what it would be like if a group of us directionally challenged people got together and went on a trip? I wonder how lost we could get and what we’d discover. Might be fun. Of course, our husbands would want to put tracking devices on us before we left. Were you writing about me???? Beautifully written. *From:* Clarice James [mailto:comment-reply@wordpress.com] *Sent:* Wednesday, November 04, 2015 4:22 PM *To:* elsie_bush@wycliffe.org *Subject:* [New post] There’s a Reason the Road is Less Traveled. People Like Me Can’t Find It. But think of the heights I could reach!